A lunchtime conversation yesterday with some science-heads got me to thinking about prehistoric mammals and how we got along with them way back when. Evidence of Pleistocene-age man coexisting with “megafauna”—gnarly, gigantic beasts–can be found the world over. Woolly mammoths, sabertooth tigers and giant sloths thrived up until 12,000 or so years ago and we thrived alongside them. But they weren’t the only oversize creatures. How about dire wolves, giant beavers, the stag-moose, the giant polar bear and the saber-tooth salmon? No joke. As if polar bears aren’t big enough today. 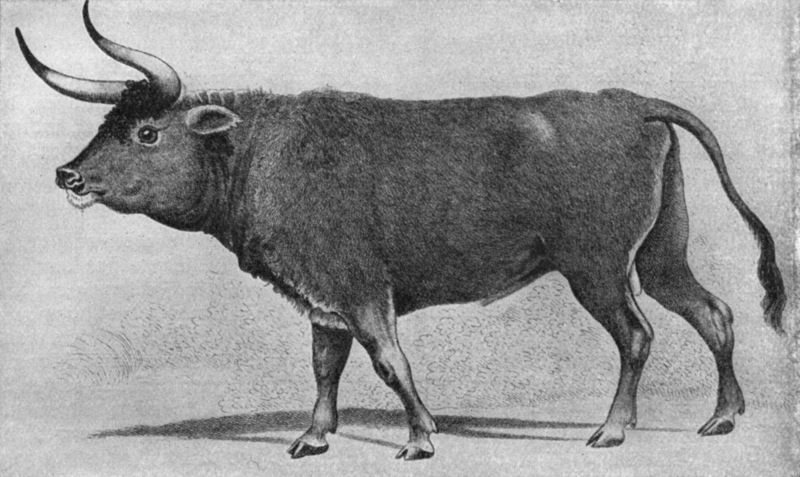 And the auroch, the ox-like creature which actually survived in Europe until the middle ages. To me, all these shaggy, heavy-footed animals are both more fascinating and more terrifying than any Tyrannosaurus Rex. Bits of their story – and ours – continue to surface. Monte Verde, Chile, for example, was excavated beginning more than 30 years ago, when the remains of mastodons were discovered right alongside stone artifacts and nearly a dozen house foundations. A bog sealed over the site, protecting the wooden relics from decay. Archaeologists have even found seeds and fruits in mortars, suitable for crushing. All this in the middle of an Ice Age that created ice fields two miles high. Wouldn’t you like to reach out and touch a woolly mammoth? It sounds ridiculous, but a lot of people would, for real, and scientists have been trying for years to clone one from the bodies they find buried, usually in Siberian permafrost. The problem is, no viable DNA has yet been discovered. That may soon change. A team from Russia’s North-Eastern Federal University recently found a set of well-preserved remains, including the fur and bone marrow that may contain living cells, during a paleontological trip in the province of Yakutia. The living cells would contain an intact nucleus, which would be inserted into an elephant embryo, and coaxed into becoming a mammoth clone. 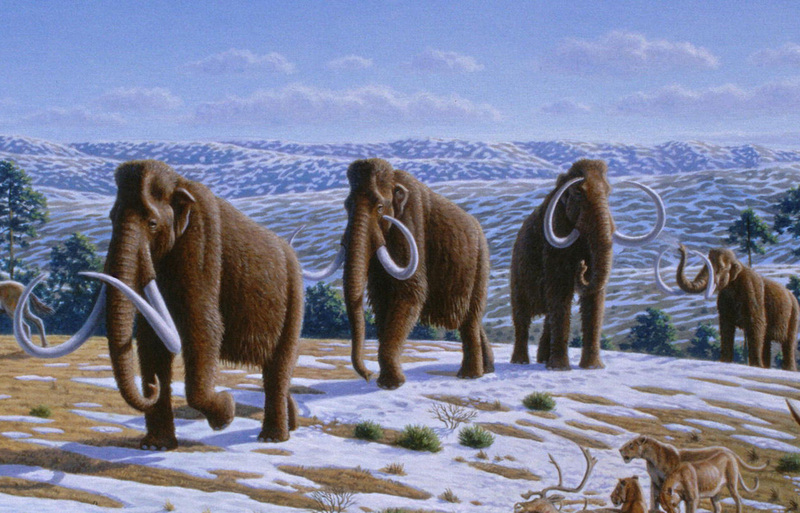 Interesting feature on cloning mammoths here. I don’t know, though, I think I’d rather see a real, live Pleistocene cave lion, 11 and a half feet in length and 700 pounds, like the kind depicted in Werner Herzog’s mesmerizing documentary about paintings in the Chauvet cave in France, Cave of Forgotten Dreams. Inhabitants of the cave rendered the cats in detail, including the scrotum of the male, alongside their own beautiful signature handprints. The cave lion fed, it would appear from evidence in similar caves in Romania, on giant cave bears, whose hibernation nests have been found alongside the skeletons of giant hyenas. Horses rounded out their diet. My years in Nebraska involved many fond visits with ARCHY, the MAMMOTH at Morrill Hall at UNL. 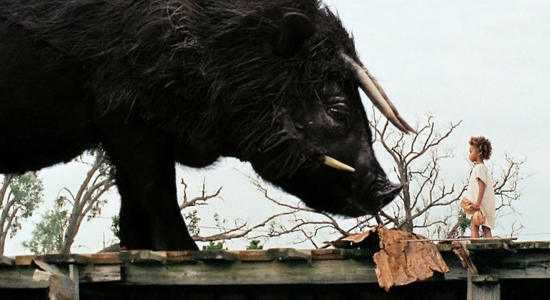 And I do want to see BEASTS OF THE SOUTHERN WILD. But don’t get me started on Jean Auel! Yikes! The stuff of nightmares. Hi Dad! 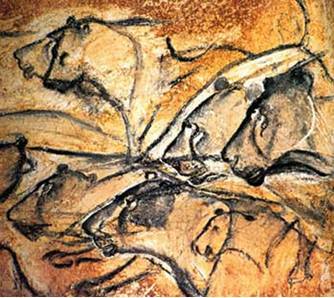 Nice to see you in the blogosphere………..
Aurochs were not mythical. The last one died in Poland in 1627. I’m not kidding. Google it.